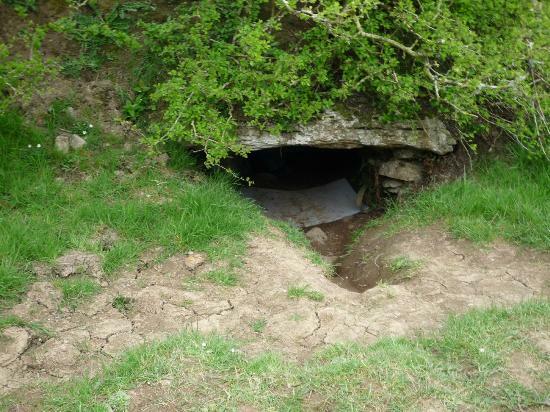 This entry was posted on September 6, 2015 by Tintean Editorial Team/fdg, in Archaeology, Book review, History, Of Literary Interest and tagged Irish Archaeology, Irish myth, Navan, Newgrange, Rathcroghan, Tara. Bookmark the permalink. 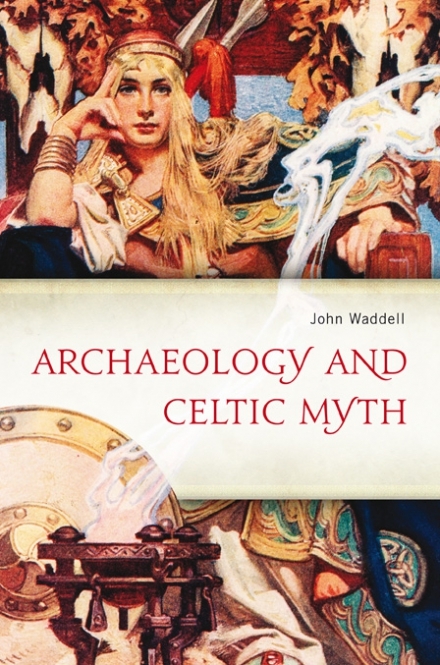 John Waddell: Archaeology and Celtic Myth, Four Courts Press, Dublin, 2015. As John Waddell makes clear in his preface, in tackling how archaeology might cast light on myth and vice versa, academic archaeology is venturing into uncharted waters. He’s frank about his lack of Irish language and his lack of expertise in the area of myth, but it’s nonetheless comforting to be walked into these disciplinary crossroads with an expert of his standing. In my experience, archaeologists are profoundly reluctant to interpret, fearing over-interpretation (something New Age mythologists are extremely prone to), and as a result the archaeologists’ descriptions sometimes drown a reader in detail. Waddell, however, is an engaging writer and for this (literary) reader who knows a little about myth and has an amateur’s interest in archaeology, this book takes me systematically into four major sites, with each of the main chapters building understanding cumulatively. It is steeped in reflections of who has gone before and progressive revisionings of what the material record might mean, and is rarely dogmatic about it because of the very plenitude of readings it parades. In addition to Rathcroghan, Navan, Newgrange and Tara, this study also encompasses European Celtic sites, and while I often hoped it would be more explicit about the specifically and uniquely insular nature of Irish findings, it is nonetheless useful to play intellectually in this broader geography. Where it does not go is the Eastern Mediterranean, where some sites would have some resonances, and I’m thinking in particular of Malta. But the limits are firmly circumscribed as Celtic. More maps of the whole terrain both in Ireland and Europe might have been helpful. I, for one, am grateful for the attempt, and for the caution such considerations make imperative. Most readers of the Táin will be, for instance aware of clerical interference with the text, and the ideological challenges to the old pagan order it embodies, but it is really useful to be reminded that it extends to other material features of the text. Waddell is in a position to inform us that the swords described in the Ulster epic are medieval and Viking rather than pre-Celtic. It’s a subtle point but one that strikingly challenges the view by several reputable archaeologists and literary scholars that the Ulster epic offers an unproblematic ‘window on the Iron Age’. It is to question the very ways in which literature is presumed to operate, whereas he would ask us to consider the text as a semi-opaque filter rather than a transparent non-distorting lens, and he is also aware of how different recensions of the text reflect the evolving needs of those who wrote them down at different periods in the dark and middle ages, selecting and emending for their own purposes or according to their own ideologies. But Waddell does not rule out using the material evidence of archaeology to read cosmological symbols and behaviour, and he does so often in his text. 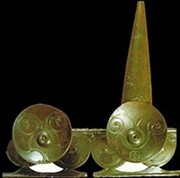 Working from slender textual evidence of the existence of a sun god, and against the literary scholar Proinsias Mac Cana’s scepticism about the existence of sun gods in ancient Irish texts, Waddell turns to the large body of artwork (notably the Petrie crown and the Monasterevin bronze disks and other even more stylised objects) that do suggest a solar cult, provides some fascinating interpretations which explain why the solar boats face west to east, and ties them in with mythological fragments to suggest a link with the Celtic underworld and kingship rituals. Newgrange is perhaps the most spectacular architectural example of sun cult activity of some sort, and his explanation to my mind begins to explain why this amazing structure is an underground one, where so many other structures, stone circles, both in Ireland and elsewhere in Europe which served a similar calendrical function, were not. His explanation of Oweynagat, part of the royal complex of Rathcroghan, further amplifies the cosmology. He is also strong on the contradictory nature of the Irish Otherworld: its simultaneously creative and destructive elements. This in turn serves to explain the phenomenon of upturned and reversed items in grave and sacrificial deposits. I really appreciated the thought given to organisation of the chapters. The argument steps up intensity with each body chapter and each builds on the preceding one. It is masterful argument-construction and, from the point of view of a general reader like myself, good narrative-building. The chapter on Macha, the Irish version of the pan-European horse-goddess and associated with Emain Macha (Navan Fort, Co Armagh) is meatier textual material for reading the archaeological record. At one level, this story is a toponymic myth; at another, a device for prophecy; and at another, she’s a destructive/creative sovereignty goddess, but Waddell is also able to draw on her horse associations to build his solar cult thesis, and to align her more strongly with her British and Continental avatars, Rhiannon and Epona respectively. In discussing the site of the Navan complex, another chthonic structure, he focuses insistently on its circular structure, which was many times rebuilt, each time preserving circularity and featuring an axis mundi in the shape of a very large central tree trunk. It is easier to concede this connection of text and archaeological record and to see that it has all the hallmarks of a sacral kingship cult. It is in the final body-chapter, in discussing the Hill of Tara, that the case is finally made, and Waddell allows himself quite a lot of licence in imagining how, in particular, the unique parallel banks of the banqueting hall, beginning below ground to the north of the site, may have been experienced as grand processional route, entailing a progressive theatrical revelation of iconic mythic sites (and their attendant symbolism) and graves to the east and west to riders on horses (the horses are important) en route to the installation of a king on the celebrated Ráth na Rí, the Mound of the Kings, in the south. Waddell understands the entire complex as a giant physical set for dramatic and solemn sacral kinship events (p 143). This is imaginative writing that is deeply informed and responsive to the geography of the site and what many digs over many decades have revealed. For him, the site is a grander version of the Navan complex, and it incorporates and elaborates many elements of other sites that many archaeologists have noted. Waddell is also passionate about the destruction being done to ancient and important monuments by quarry-makers allowed to work too close to first class sites, and of course the road-makers who have compromised Tara. One can only hope that such books as this one give pause to the planners. My only concern about this book is its front cover design. It uses rather overheated images of Queen Maeve created by J C Leyendecker commissioned by Century Magazine in 1907, which I think must have inspired many a New Age lover of Celticism, as the style of such images is rather overly familiar, and generally deployed to mark a book belonging to the debased fictional genre of fantasy fiction. The back cover image is more to my taste, featuring as it does the Hirschlanden statue and other images discussed so evocatively in the text. This minor quibble aside, Waddell’s is a book that invites reading and rereading, and it makes archaeology very accessible and humane. Frances taught Literary Studies for many years, and is a member of the Tinteán editorial collective.